All-laser LASIK performed with IntraLase™ technology, known as iLASIK, is one of the most advanced vision-correction treatments available today. When you first begin considering this and other types of LASIK surgery, the differences and advantages of each can sometimes be confusing. Fortunately, Dr. Sonny Goel can review the benefits of iLASIK in detail during a personal consultation at his Annapolis, MD, practice. With iLASIK, we can correct nearsightedness, farsightedness, or astigmatism during a brief, incredibly safe, and blade-free procedure. Contact our practice today to schedule an appointment. Traditional LASIK eye surgery was first approved by the Food and Drug Administration (FDA) in the 1990s. Since that time, advances in technology have led to the introduction of iLASIK, which improves upon the original procedure in several areas and provides patients with many added benefits. In order to guide your surgery with exceptional accuracy and achieve optimal results, Dr. Goel will measure the depth of your cornea and create a detailed 3D map of your eye using a wavefront imaging system. When compared to standard methods, wavefront mapping can detect and measure optical imperfections 25 times more precisely. By using these precise measurements to calibrate and guide your iLASIK surgery, we can correct incredibly small corneal aberrations, which allows even more patients to achieve clear vision. During a traditional LASIK procedure, your surgeon will use a special blade to create a flap of corneal tissue. When undergoing iLASIK surgery, however, this flap is created using a computer-guided femtosecond laser by IntraLase™. Performing this step with the IntraLase™ laser system allows Dr. Goel to make incredibly accurate, symmetrical incisions at precise depths to create corneal flaps with more consistent thicknesses. We will also utilize eye-tracking computer technology to determine the position and specific characteristics of your iris, ensuring precise alignment during your iLASIK procedure. 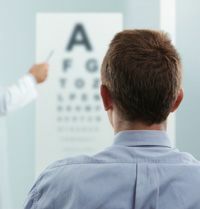 Studies have shown that the use of eye-tracking technology results in better outcomes and decreased complications. The introduction of computer-guided technology has allowed iLASIK patients to achieve clear vision after an incredibly brief procedure that lasts only minutes. Many complications experienced by traditional LASIK patients are related to the use of the microkeratome blade. Since your corneal flap will be created with a laser during iLASIK surgery, you can enjoy faster healing times, minimal discomfort, and a reduced chance of infection. Additionally, trusting your care to a skilled and experienced surgeon like Dr. Goel can ensure you achieve optimal results. Dr. Goel and his entire team believe that every patient should be able to enjoy great vision. By undergoing an iLASIK procedure with Dr. Goel, you can reduce or eliminate your dependence on corrective lenses. We accept most major insurance plans and offer financing plans for those who are concerned about the cost of treatment. Before undergoing treatment, Dr. Goel will review the details of the procedure and answer any questions to ensure you are well-informed and comfortable. Schedule a personal consultation with Dr. Goel today to learn more about the benefits of iLASIK.